Nature’s Head toilets are made in the USA. This means that they must go through testing to ensure that it is safe to use. It is safe in the ecological sense and considered sanitary. 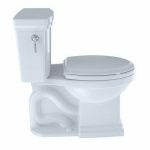 It features a molded, elongated seat that is easy to clean and durable. 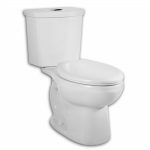 This means that you will never have to worry about replacing the seat of your new composting toilet. In fact, the entire toilet is durable. It is made of polyethylene and uses marine grade stainless steel fittings. 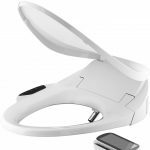 The Nature’s Head toilet has a bi-directional agitator handle to ensure that your waste is put where it needs to be so that you do not have to worry about wastewater mixing with solid waste. This means you will not have to deal with odor. There is a low volume air circulation fan that is built in to recycle air and keep odors out. This toilet does not need water to function. You can take it camping and not have to worry about having a water supply near your tent or RV. You simply go when you need to and the toilet will take care of the rest. 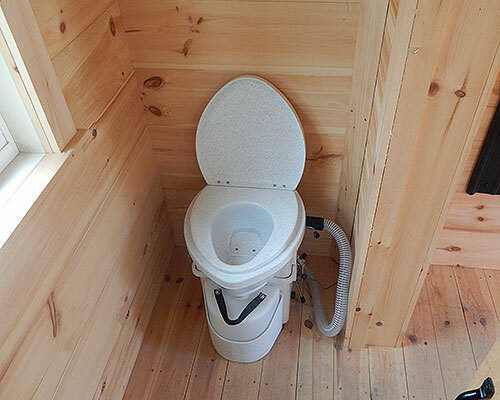 This composting toilet is lightweight. It weighs only 27.2 pounds when the tanks are empty of waste. 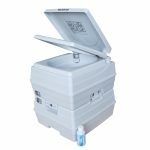 This makes it easy to take the toilet with you on your boat or for you to carry it with your camping gear. 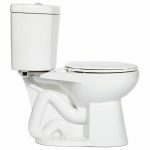 It is also a comfortable size for most people to use, since the base is 12 1/2” tall. The length is 17 3/4” and height is approximately 21”. 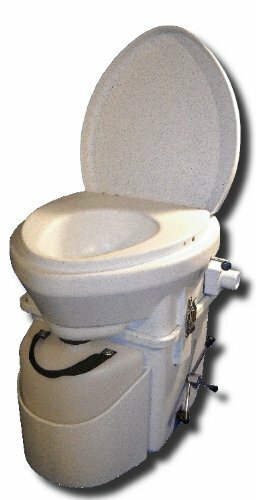 Many people do not want to invest a lot of money into a composting toilet. 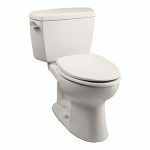 Therefore, to give you piece of mind when you purchase, there is a 5-year warranty on the Nature’s Head self-contained composting toilet. 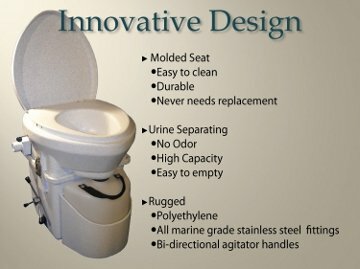 With your purchase, you will receive everything that you need for this self-contained toilet. You get 5ft of venting hose, an inside vent flange, the agitator handle, mounting brackets, 6ft of wiring so you can hook up the internal fan, a fuse holder and a fuse for the direct battery attachment, tank caps, an Allen wrench, and your instruction booklet. 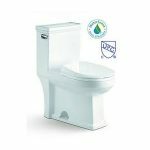 The Nature’s Head composting toilet has an average rating of 4.8 stars. 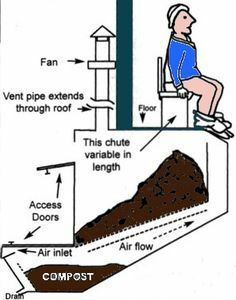 This should prove to most people that it is well worth considering if you want a composting toilet. Some people enjoy using it so much that they are replacing their home toilets with this one to be more “Earth Friendly”. 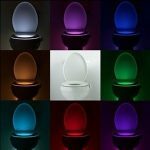 They say that it is able to be used by a person who is tall and that it is deep enough in the bowl that you do not have to worry about your body touching the base of the bowl. Apparently, this does happen with some composting toilets. 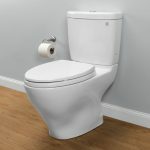 It is also a toilet that does not have to be emptied more than twice weekly, depending on the size of your family and how often it is being used. Is This Self-Contained Composting Toilet Worth It? There are some people who say that it is effective, but perhaps not worth the money that it costs. This is a matter of personal opinion and considering all of the features, it may be worth it to most people. If there is a downside to it, some say that the urine tank does smell a little when you go to empty it. This is normal because urine smells. They do not mention an odor where the solid waste goes. 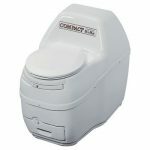 In short, if you are looking for a good compost toilet, Nature’s Head seems to be a great choice for most people. Therefore, we give it our seal of approval.